Get my FREE 5 Days of Healthy Dinners Menu Plan! By entering your e-mail, you are opting in to receive updates from my site. Raise your hand if you’re a fan of easy and delicious party appetizers! (Insert hand raised emoji). If so, this is the recipe for you! 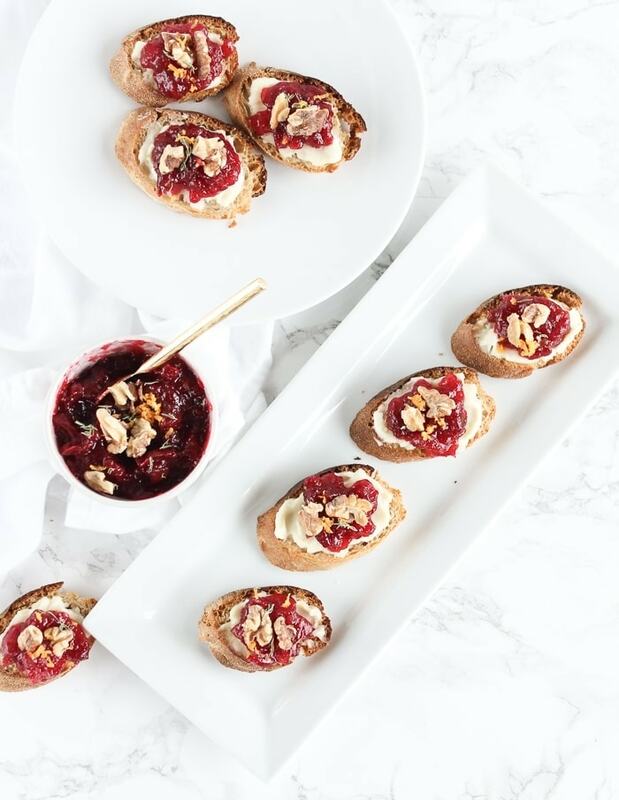 Cranberry Brie Crostini are delicious little bites that are both easy to put together and so tasty. 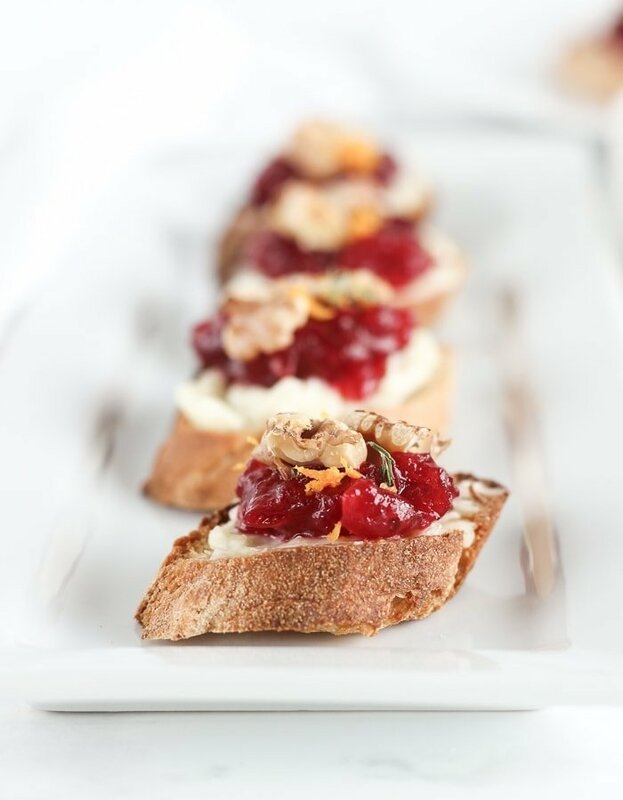 What makes these Cranberry Brie Crostini just a little bit better is the extra sprinkle of goodies on top. A hint of orange zest and crunchy toasted walnuts add just a touch of complexity without being too over the top or difficult. I’m normally not a huge fan of brie, but I absolutely love these little bites of holiday magic. They will make a beautiful addition to your Thanksgiving table or holiday spread this year! Also, I have a thing for crostini. 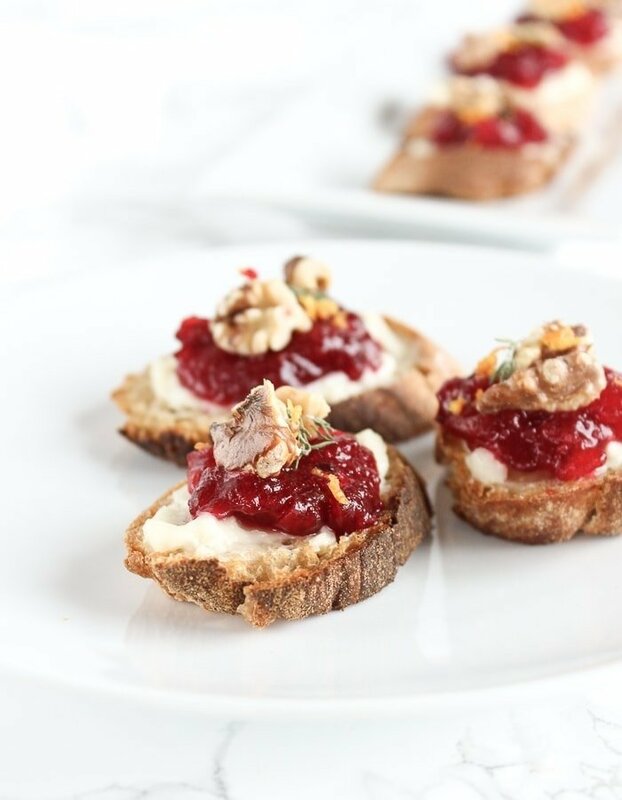 If you need more recipes for toasted bread with yummy stuff on top, try my mushroom ricotta crostini, blood orange and avocado crostini, or pear and blue cheese crostini. Because bread. Heat oven to 400°F. Slice baguette into 1/2-inch slices. Place on a baking sheet and drizzle lightly with olive oil. Toast baguette slices for 7-8 minutes, or until crispy. Slice brie into very thin (1/4-inch) pieces. Place 1 piece of brie onto each toasted crostini and place back in the oven until brie is warmed and melted (about 5 minutes). 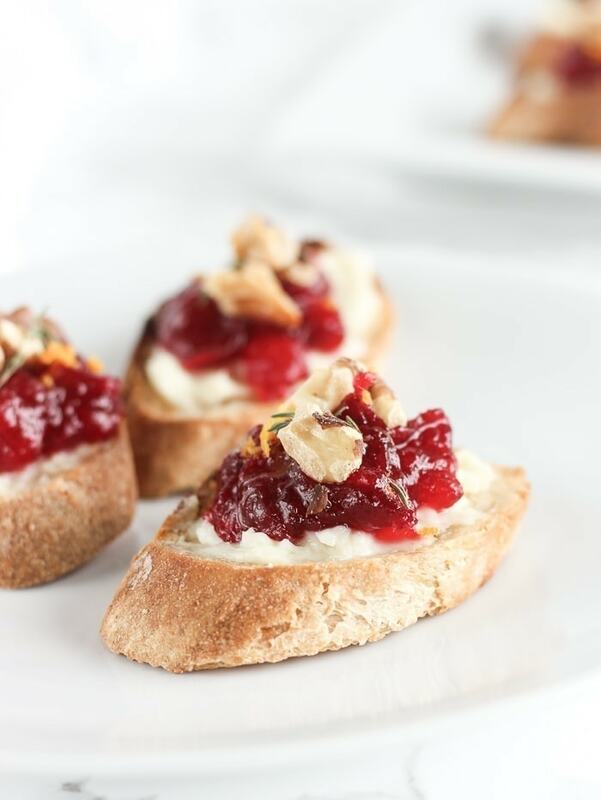 Remove from oven and top each crostini with 1 tsp cranberry sauce and a couple of toasted walnut pieces. Sprinkle with orange zest, thyme and sea salt. I live alone and wondered about storage. Can it be frozen or kept in fridge and for how long? The cranberry sauce can be kept in the fridge for about a week, or frozen. The rest will have to be made and eaten pretty quickly. You can slice the bread and store it in the freezer if you’d like. I’m a food-loving a registered dietitian, wife, and mom helping you find joy in the kitchen with delicious real-food recipes and wellness tips. Join me in finding your healthy!